Illamasqua Powder Blusher in Naked Rose - This highly pigmented powder blusher certainly does the trick with brightening and enhancing natural colour into your cheeks, along with defining the shape of your face. I dab this onto the apples of my cheeks, and I just love how pretty it looks. I wanted a neutral-pink toned blush for ages, and this definitely ticks the box for me. You can see this here for £22. Bourjois Lip Stain (Rouge Edition Velvet) in 08 Grand Cru - This colour is certainly not for the faint-hearted, the red is super red if you know what I mean! What's great about this lip gloss/stain, is that it doesn't run which I really like, as this normally puts me off that kind of substance. You can see this high-street bargain here for £8.99. Ciate Nail Illuminatior 'Bloom Boost' - Now I'm not normally a huge fan of dealing with my nails (very un-girly-like i know!) but I just can never be bothered waiting around for them to dry and all the other hassle that comes along with it! But ever since using this Ciate product, It's making me see my nails in a whole new light. They almost give them a little 'pick me up' and it enhances your natural nail colour. You can see this little beauty wonder here for £12. The next two products deserved a little bit more recognition in this post. 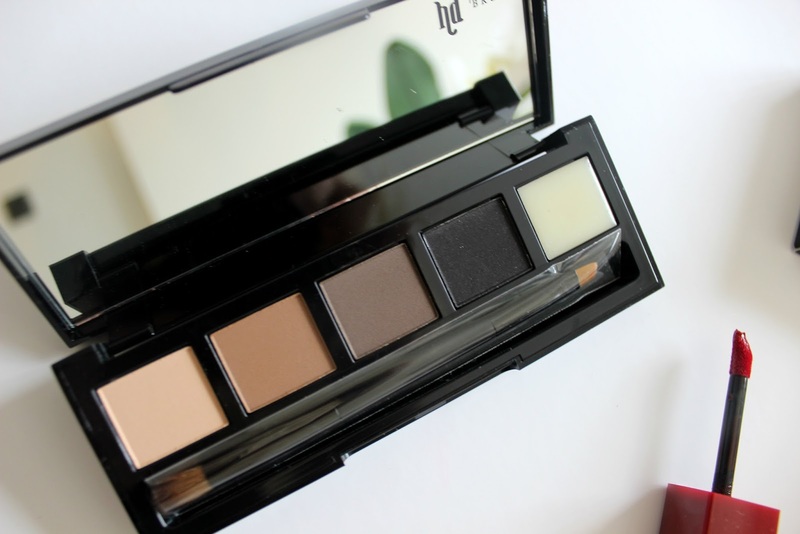 First up, the HD brows palette in foxy. Now, this has been a long-standing favourite of mine with their old make that they used to do of this, in a much smaller box-like palette (anyone remember that one?) so I was a little skeptical to try out the new range. I haven't used the brush yet that comes with it (hence why it's still in its packaging) but the colours blend onto my own 'brows like a dream. What's great about this palette, is that there is such a range of tones to choose from, and you can be as subtle or as harsh as you want them to look. You can see this palette here for £25. 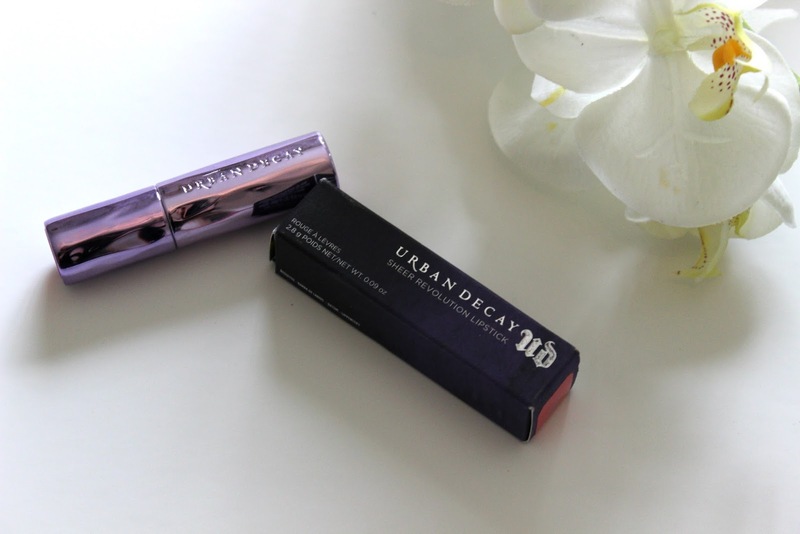 Last but not least is my new ultimate favourite - the Urban Decay Sheer Revolution lipstick in 'Sheer Streak'. Under the purple gloss cylinder case, lies a beautiful creamy rich, pink colour. It lasts a good 4 hours before having to re-apply. Urban Decay as a brand have been a long-standing favourite of mine, (I mean, who doesn't love their Naked eyeshadow palettes?!) and the Revolution lipsticks seem to be no exception. They just keep on winning every-time! You can see this here for £15.50. 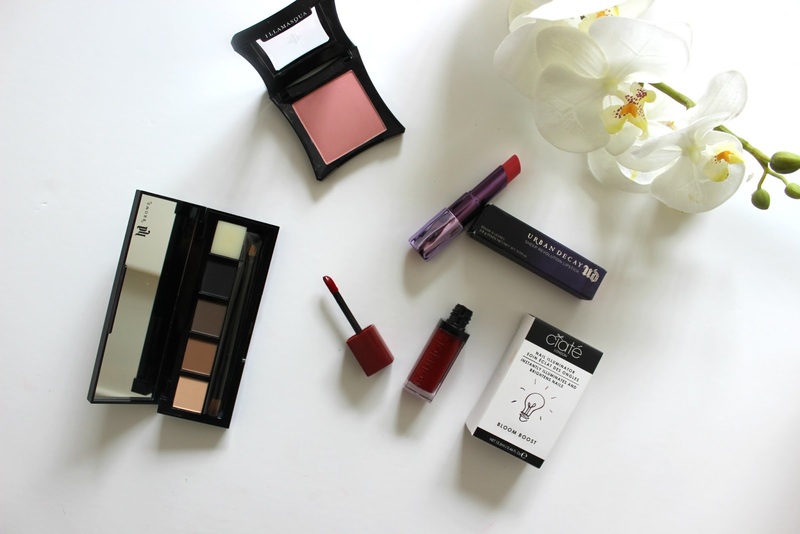 What do you think to these beauty favourites? I really love the lipstick. It has a amazing shade! !